Turning Vision Into Action: Will You Soar With the Common Core? Will You Soar With the Common Core? Thinking about how your summer is going and the work of PLC's, as I reflect on my own work from 2011-2012 and start to plan for 2012-2013...another season down, and another one to go...and asking myself all along the way, will I be better next year? And if so, based on what? How about you? What will you do this summer to help you have a better 2012-2013? For more than 18,000 educators, they are spending part of their summer attending one of Solution Tree's Professional Learning Communities at Work institutes. And they are coming to the institutes ready to work, plan and take action this fall - in time for the new school season. And so this summer I have entered into a bit of a renewed journey for me. I have chosen to re-connect with one of my favorite and extremely high quality professional development companies - Solution Tree. Solution Tree is a leading national and international provider of books, events, and professional development with a deserved reputation for a quality of excellence far above the norm. For me, it has been a privilege to publish seven books with them over the past 2 years - including our newly released Common Core Mathematics in a PLC at Work Series for school teachers and leaders. 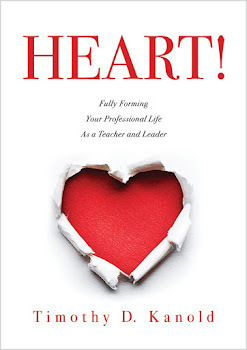 And, through the extremely remarkable series of summer Professional Learning Community (PLC) at Work institutes (We recently completed Institutes in New Orleans, St. Louis, and Las Vegas and move on to Denver and San Antonio which are sold out events), I have had a chance to re-connect with a friend, leader, and co-collaborator for 20 years - Rick DuFour. Rick is the heart and the soul behind Professional Learning Communities at Work and is someone readers of this blog should get to know - if your primary interest is in the service of improving student learning within your current sphere of influence. Rick and his beyond remarkable partner and spouse - Becky DuFour, make an incredible team that is able to touch your life, focus your work, and provide new energy to your mission and purpose as a teacher or school leader. And it does not stop there. The level and quality of the presenters at the Institutes is also remarkable. For example, I have discovered a new friend and a high-energy leader filled with kindness and passion in Tim Brown. Tim presents at the events, but he also acts as the host and emcee - and he makes it fun and interesting for all involved. And, he does it with a grace that is not always easy in front of the 1800 people in the ballroom like we had this past week. And so, for me, I am spending my summer working with the great team of ST events folks and PLC at Work presenters (such as Bob Eaker, Mike Mattos, Anthony Muhammad, and Ken Williams) learning with them and from them. 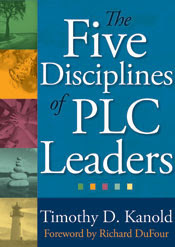 The institutes provide me a forum to present our (we have 14 co-authors) latest books in the Series on the Common Core in Mathematics as well as my book on school leadership The Five Disciplines of PLC leaders. More importantly however, the institutes are providing me an opportunity to once again observe, work with and discuss the real everyday challenges that exist for thousands of educators across the country. I am struck by just how hard the participants - teachers, administrators, school board members, parents, school support personnel, etc, work in their teams and during their team time to come up with real solutions that will indeed make 2012-2013 a better season. There is a remarkable seriousness of purpose among these educators that attend the events. They care deeply for each other, for their work and for their students and after all - that is what really matters most. It is the caring that will drive us to a continued improvement - forever - every season. I have also noticed that Becky DuFour, does something quite remarkable whether it is during her Keynote address, breakouts, or panel discussions. She always celebrates and applauds the audience. She understands the commitments required by each person in the room to soar toward greatness. So, I am at the end of this blog entry length for me. And the title - Will You Soar With the Common Core - Hmm, you are probably wondering if I was going to get around to blogging about it. Well, as I went to write it, I realized it needed context, and so this blog provides some of the context, and I promise that my next entry will address the issue head on. Really! The title of Rick DuFour's day 2 Keynote address at the Professional Learning Community (PLC) at Work institutes this summer is: Will your Soar or Settle? As I listen to his "crystal clear" message, I just like the ring of the phrase "Soar with the Common Core!" Don't you agree? His point? Everyone of us, in oder to pursue a great school or program must focus our collaborative team energy on three critical high leverage and focused actions. And I could not agree more. I promise that my next blog entry - written from Denver Colorado, will let you know more about those collaborative team actions, and what this means for those of you like me, that want the Common Core to Soar in mathematics.